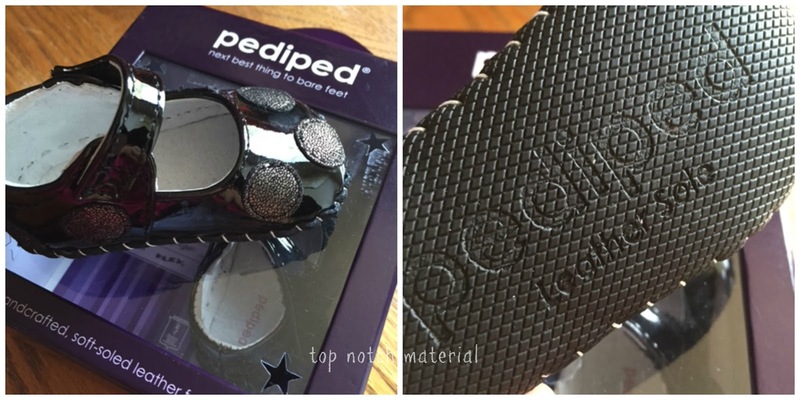 Top Notch Material: Pediped is Our Favorite Shoe for Our Children! Pediped is Our Favorite Shoe for Our Children! Pediped. My favorite infant shoes! Seriously, they are so cute, stylish and great for the feet, who wouldn't love them? I have reviewed them for both of my boys both in the toddler sizes and the bigger boy sizes and I am thrilled to review the infant Originals for the princess this time. The soles of these shoes are so incredibly flexible that it is close to being barefooted for the princess and they are so cute too! The style I received is the Giselle and it is the cutest little black patterned leather shoe with etched polka dots! These shoes are just so much fun and will match all of her Halloween, Thanksgiving and Christmas outfits! I have been a huge fan of the style and functionality of Pediped since my first son tried on a pair, and I continue to love them! I know that once your little ones tries them on, they will feel the same way my son did as a toddler when he went through 3 of the same style Pedipeds in a year because he kept outgrowing them, but loved them so much!! 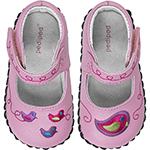 pediped® is sold in over 2,500 stores in the United States and 40 countries worldwide with an offering of more than 150 designs for boys and girls between its three lines, Originals®, Grip ‘n’ Go™ and Flex®. The award-winning footwear is available in EU sizes 17 to 36 (US newborn to 4.5 Youth). For more information, visit www.pediped.com or call 1-702-567-0311. 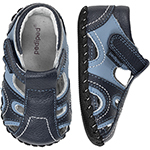 LIKE on Facebook at /pedipedfootwear and follow on Twitter and Instagram @pedipedfootwear. Be sure to check back at the end of the month because we will be giving away one pair of Pediped Originals in your choice of boy or girl shoe and size of your choice. I would love to have this brand of shoe for my sons! My mom always told me, a child needs a good shoe to learn to walk and I think these would be the best !